Wewantsounds continues their Akiko Yano reissue program with the release of Japanese Girl, her landmark debut album from 1976. 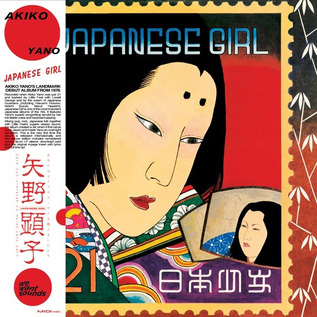 Backed by Little Feat with Lowell George and by top Japanese musicians (including Haruomi Hosono), Japanese Girl is one of the most important Japanese albums of the '70s, mixing pop, rock, and Japanese folk together with Little Feat's superb classic sound. The legend has it they found it so difficult to keep up with Yano's compositions they returned some of their fee. The session was nevertheless stunning and Lowell George even compared Yano to Stevie Wonder. Recorded at the legendary Onkyo Haus studio in Tokyo, the sessions mix singer-songwriter sensitivity and pop with traditional Japanese sounds and instruments like the shinobue transverse flute, the koto string instrument, or the Tsuzumi hand drum as played on "Hekoriputaa" by the legendary percussionist Kisaku Katada; together they create a beautiful east-meets-west mix masterfully driven by Yano's creativity and unique talent. Essential.